Unlike rangefinding sights of the past, the new IQ 'Define' incorporates the rangefinder unit directly onto the sight housing for a cleaner line of sight and better balance. Unlike rangefinding sights of the past, the new IQ &apos;Define&apos; incorporates the rangefinder unit directly onto the sight housing for a cleaner line of sight and better balance. 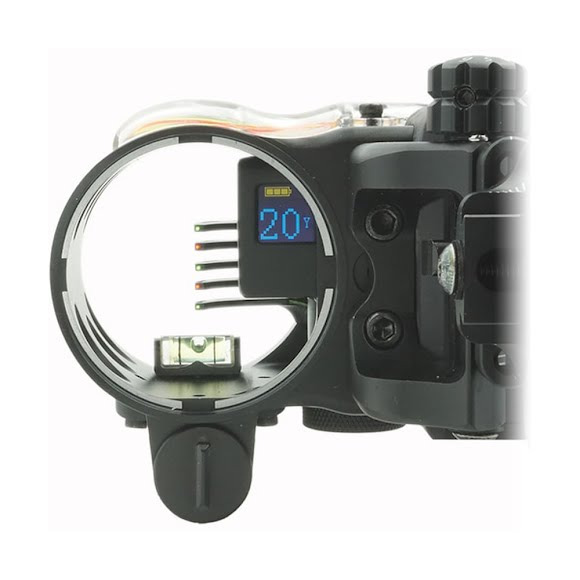 This premium 5-pin sight with ultra-bright fiber optic pins is precision milled from 6061 aircraft grade aluminum and features micro adjustable pins, a precision bubble level, toolless adjustments, 2nd and 3rd axis adjustments, an integrated sight light with 5 brightness levels and a CR2 powered rangefinding unit with +/- 1 yard resolution to 99 yards! This 5 pin sight delivers on reliability and performance with a fully integrated rangefinder and pin sight in one easy-to-use and feature-rich unit.